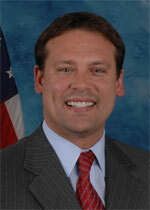 U.S. Rep. Heath Shuler told WLOS-TV that he’ll be carrying a gun for self-protection after the shooting of Gabrielle Giffords. I believe that’s awesome! You should be able to carry a weapon to protect yourself. He said he has carried a concealed weapon periodically since someone made a serious threat on his life in 2009. The person who threatened him was mentally ill, which, shows a pattern here that for one to carry out violence against anyone, much less a politician, they must be out of their mind, period. Shuler says he will make it a practice to carry a handgun when he is away from Capitol Hill. While in Capital Hill, he has the protection of Capitol Police for security. He said his staff members have also gone through the training and background checks needed for the legal permit to carry concealed handguns. It is a sad day that our country has come to this, but at the same time, I am glad to see Democrats embracing what 2nd Amendment advocates have been saying all along: If you feel the need to carry a gun for your own protection and that of your loved ones, you should be able to, and not be hindered by your government! If I were Heath, I would do the very same thing.